Casper is home and feeling fine after a day at the vet, but I’m a wreck. Right now it’s just observation and rush her in for surgery if things go poorly, but both vets felt that she should probably pass the fabric and zipper. I’m still a mess! 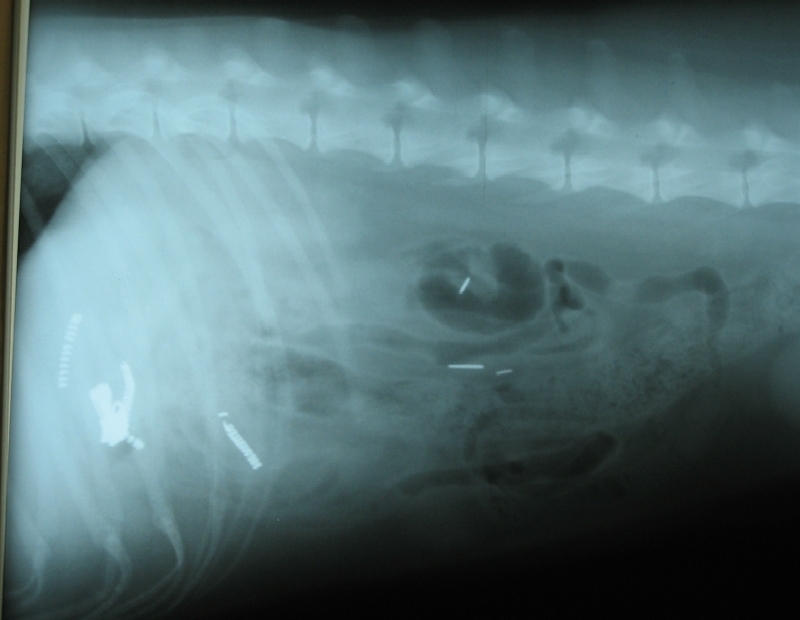 The zipper parts are in the stomach on the left side of the radiograph. They said everything else is normal right now and she’s acting like nothing’s wrong. I hope it stays that way! Poor Casper. Hope she’s better soon!